It's Tuesday in the houuuuse! Time for a fun Tuesday at Ten June feature. Beth sent me her basement home office makeover reveal... um, it's amazing! 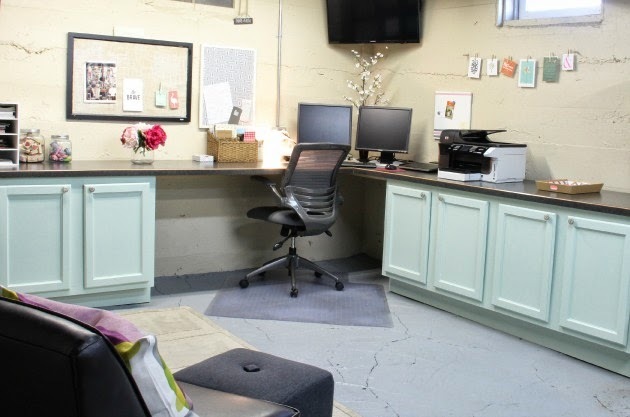 She and her hubs took their outdated barn house basement and turned it into a beautiful space for her to be creative. I love all of the details that she perfected in the space. Ohhh, yeah. 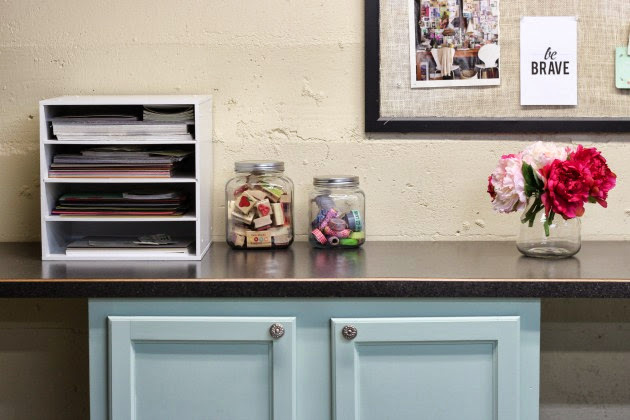 Beth added some amazing desk space, complete with adorable minty green cabinets. 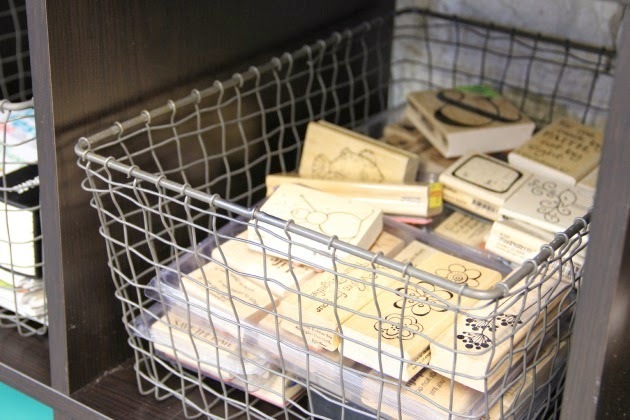 She also created all kinds of great storage for her office and craft products. I'm so jealous! Didn't she do a great job? Love it, Beth. 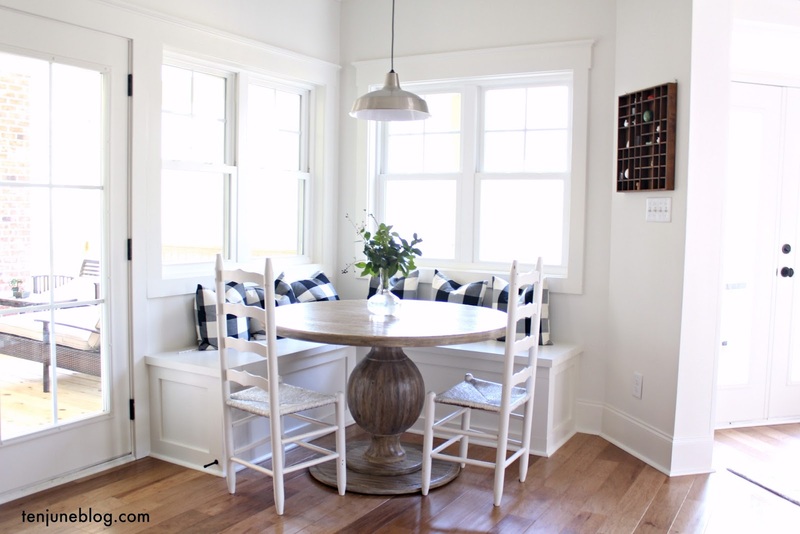 I've got so many fun things to blog about with our new house, I think I may start making the "Tuesdays at Ten June" feature an every-other-week feature. That ok with you guys?! With that said, I still want you to submit your awesome projects every week! The projects can be anything you've done yourself... DIY home decor, kids projects, organization, recipes, holiday decorating, room makeovers... you did it, I want to see it. You can email your projects to me at tenjuneblog@gmail.com or tag them on Instagram with #tuesdaysattenjune. I will check both places when pulling submissions for the feature post. Can't wait to see what you're working with- you guys keep the rest of us inspired! WOW! What an amazing transformation!! And so so functional! That is an incredible transformation! Unbelievable!! 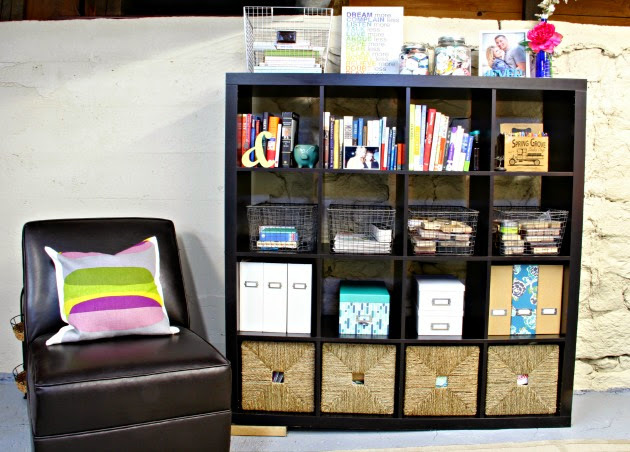 Thanks so much for featuring my home office makeover, Michelle! I appreciate it a lot! good job beth! so so impressive!